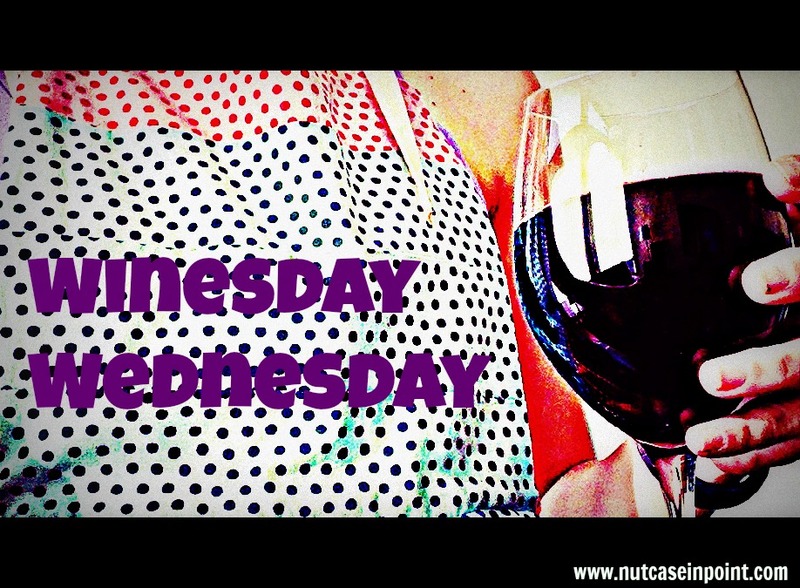 Happy Winesday Wednesday, folks!! Man, these weeks sure do fly by–I feel like I’m always posting alcohol (well, because I AM). Actually, pretty much all alcohol has that effect on me. Minus the super duper hoppy IPAs. Even then, I’m a sport and will drink it. 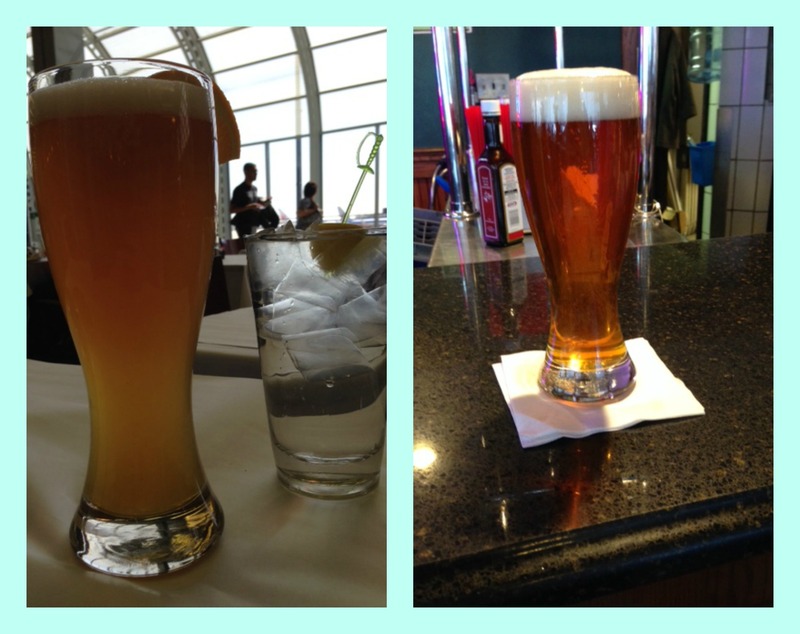 You know, just your standard drink-in-the-airport beers. Helped pass the time. And relax me. I ordered the Lakeshore when we went to the Signature Lounge. It was a really great drink to have for happy hour- especially when I had jest met up with friends and had an excellent view of the city from 96 stories up! The Lakeshare consisted of Belvedere vodka, sparkling wine and raspberry liqueur. Yum! 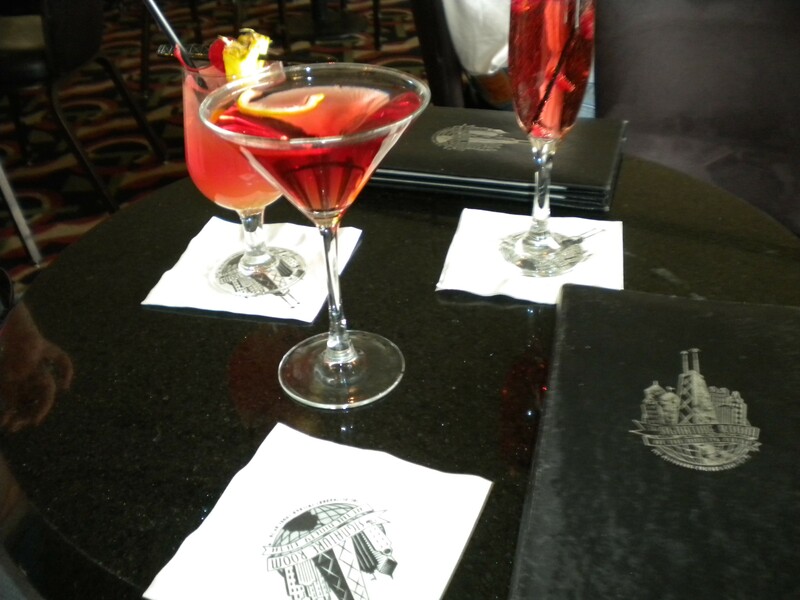 Then there was the terribly strong martini from the piano bar…. And rounding out the evening with a Revolution Brewery Bottoms Up Wit. Delish! Three Floyd’s Gumballhead- wheat ale with a tiny bit of citrus. I REALLY liked this one, but majority of the people in our group thought different. Weirdos. Lagunitas PILS- on the hoppy side, but dang was it super refreshing as a bike-tour stop! Bell’s Oberon Ale– another summery beer! Wheat ale that was a bit spicy and fruity and delicious all in one! PS: the sample for this one was entirely too small! 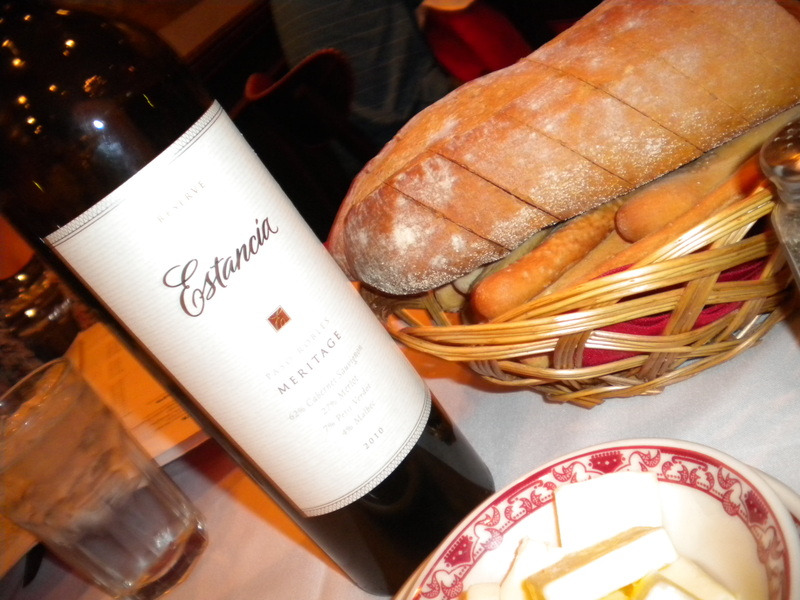 Dinner that night was accompanied by a delicious red: Estancia Reserve Meritage. It was PERFECT with our steak dinners. Plus, I’m pretty sure I can drink it on it’s own. I loved this wine! We also managed to down another bottle. 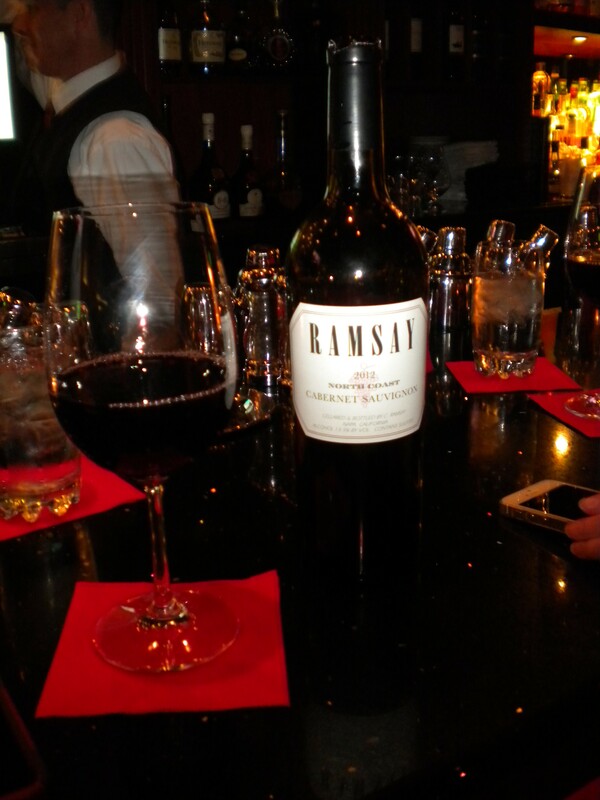 The second was Ramsay Cabernet Sauvignon. This was another good drinking wine that we enjoyed all too easily with conversation at the bar. Some of my other choices for the weekend were more Revolution beers and Goose Island beers- the places we went to had mostly IPA selections, which some times isn’t as appealing to me. Womp. 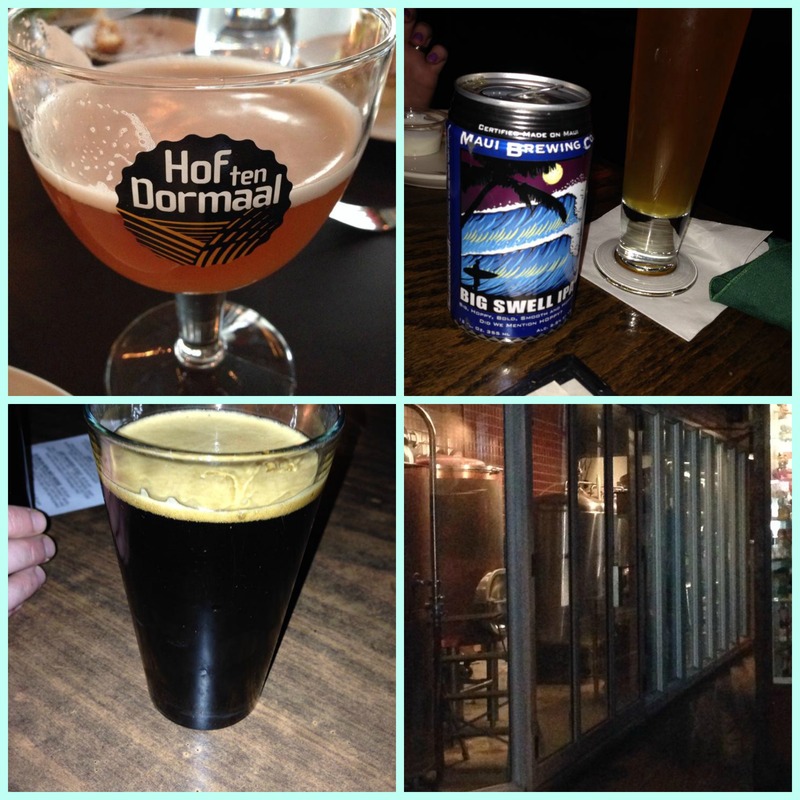 So I went to Philadelphia again for the weekend and had some delicious brews and eats. Before going there, however, I had a strong IPA by Maui brewing company called Big Swell. Lots of hop flavor on this one. Good stuff for a Hawaiian made beer. In Philadelphia, my wife and I went to this restaurant with her former college roommate called Sbraga ownedand operated by the Top Chef. I had a Hof Dormaal there with my meal and it was fantastic. It is a strong Belgian blonde ale with hints of banana, clove, and other spices throughout that went perfectly with all of my tasting dishes. We then left and went to Nodding Head brew pub. I got a “Just Annuder Stout” which I wasn’t too impressed with but still decent enough to drink the whole pint. It was more dark chocolate/coffee flavor than I expected but with the addition of lactose sugar (not dissolvable by beer yeast), it was more than tolerable and had a creamy finish. The interesting thing about this brew pub is it is one of the smallest in Pennsylvania, yielding only 7 barrels of beer per year. Helps keep costs and alcohol taxes down I guess! I took a pic of their brewery equipment which I will include with this. What you see is exactly how much equipment they have. I’m not a big-time lover of stouts, but there are a select few that I really like. I try to avoid getting them at restaurant or bars just in case they ruin a meal! Thanks, Michael! Woman With No Pants Steals Two Boxes of Franzia. Sounds like my nightly college routine. Easter themed cocktails. Let’s be honest. We’re all too lazy to buy and make this stuff. Prosecco and wine it is! I got a lil tipsy just reading this post!! That vino sounds great!! I loved the Goose Island beer when I was in Chicago! And, you can’t go wrong with Estancia.. I recently had the chardonnay which was so good.